Join our Board of Directors and help families in your community! About Join our Board of Directors and help families in your community! 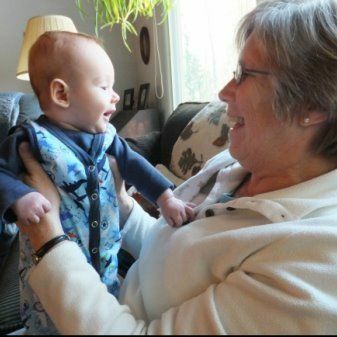 Good Beginnings is a small nonprofit organization that provides support, community connections, and access to resources to new parents throughout Central Vermont, out of a belief that all new families can use a helping hand. We are seeking to diversify representation on our Board of Directors, and are particularly interested in representation from all communities in the region. Your community is one for which we are actively seeking candidates to serve on our board! We strive to be a board that reflects our community, with volunteers, parents, donors, health and human service providers, and community members all represented. We have 3 part time staff and a network of about 50 volunteers and we provides home and hospital visits to families prenatally and up to three months after birth, mentoring, peer support groups, parent education, connections to community resources and varied support services to meet the needs of families. Our grassroots model connects families and community members - our mission and programs are inspired and implemented by participating families and members of the communities we serve. If you are looking to get involved in your community, and have time and expertise to offer, please consider joining our board. You will be helping to make a difference for families during a time when help is needed most! If you would like more information, please contact Molly Gleason (current Board Member) at gleason.molly@gmail.com or 802-881-2856.